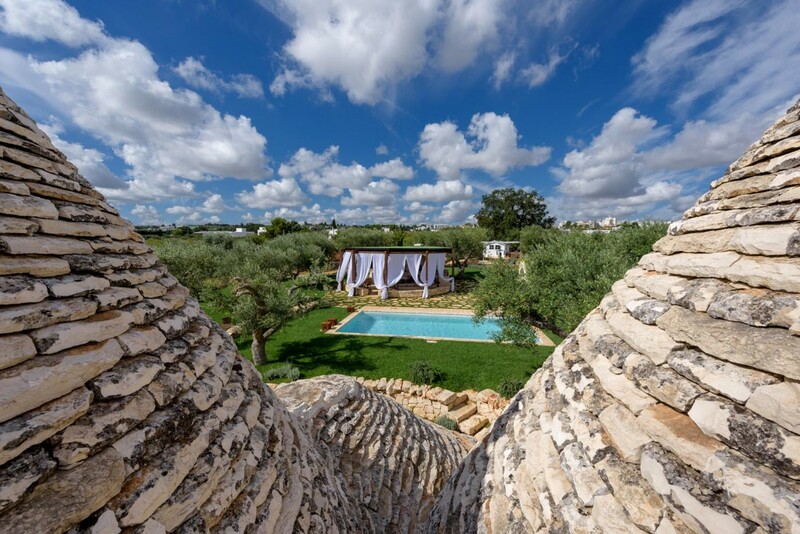 Welcome to Villa Tria, an exceptional 3-bedroom villa located in the heart of the Valle d’Itria, also known as Trullos’ Valley, in the Puglia region of Southern Italy. 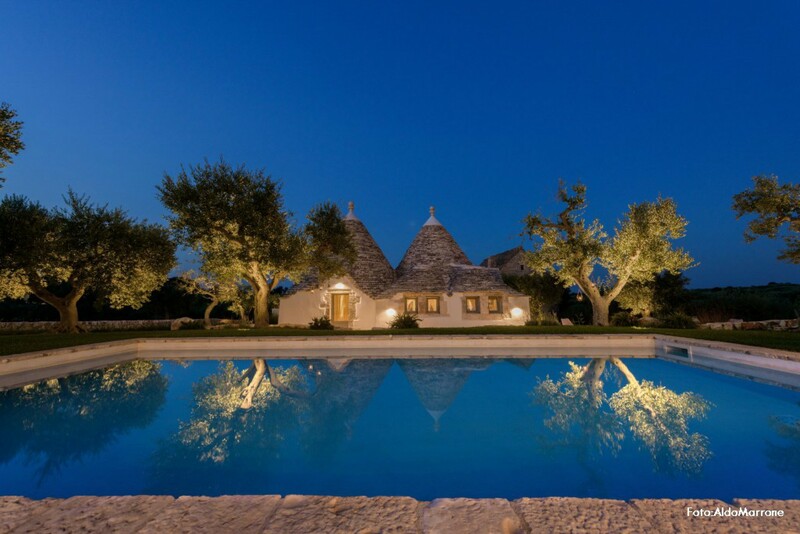 A remarkable villa, both inside and out, the design of villa Tria is both unique to the world, yet common to the area it resides in; close to the town of Alberobello, designated as a UNESCO World Heritage site in 1996, the characteristic corbelled stone rooves on top of the dome shaped buildings are topped by a decorative spire, sitting above whitewashed walls. 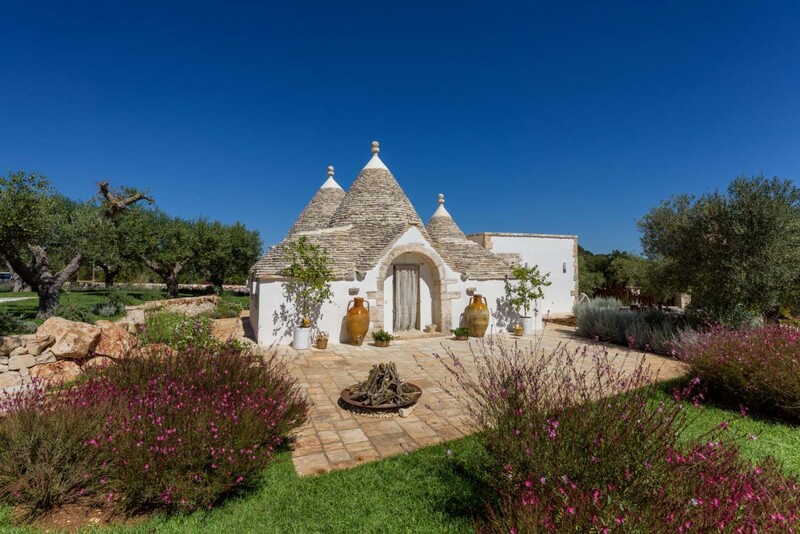 Surrounded by manicured gardens and mature olive trees that provide leafy shade under wide spanning branches, this villa holds all the charm of an Italian abode, with the added whimsy of an enchanting fairytale suffused into it. 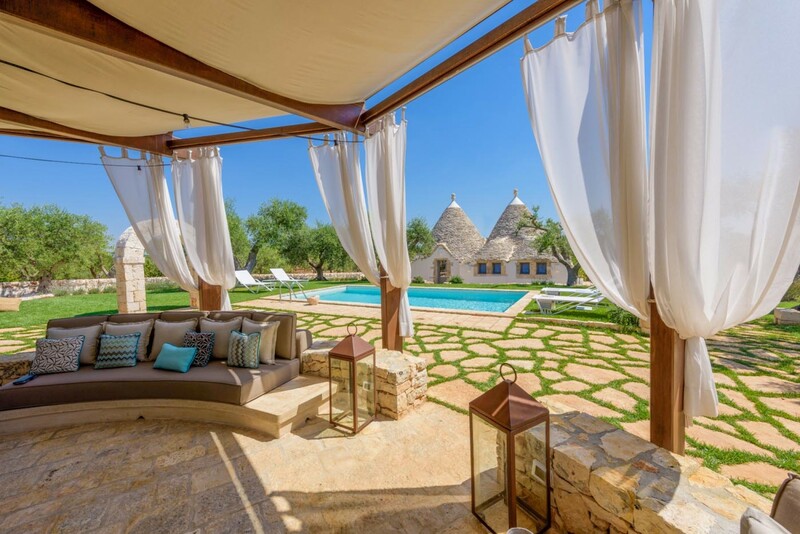 A stone patio surrounds the villa, with space to sit and lounge amongst the greenery, basking in the sunshine, enjoy the flickering flames of the firepit on a pleasant evening, or take a dip in the cool, shimmering waters of the swimming pool to the rear of the villa. 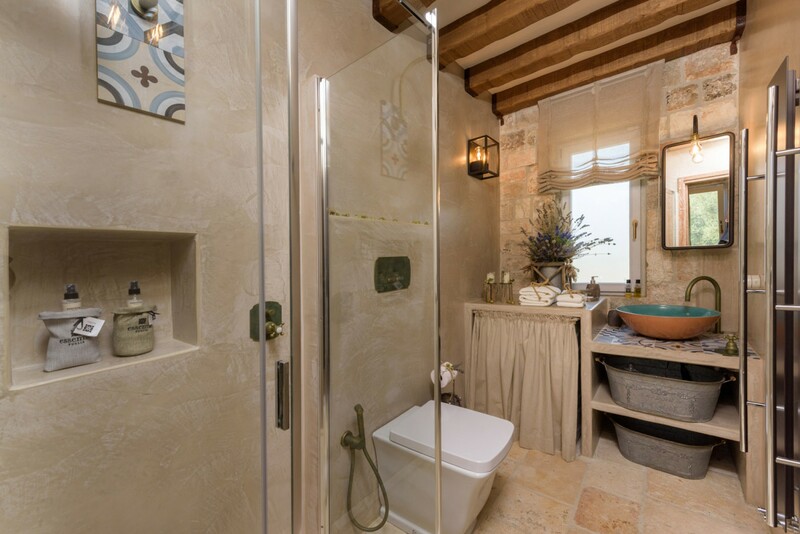 The charm doesn’t end with the exterior; the interior of the villa showcases the beautiful stonework that supports the roof and is visible throughout. 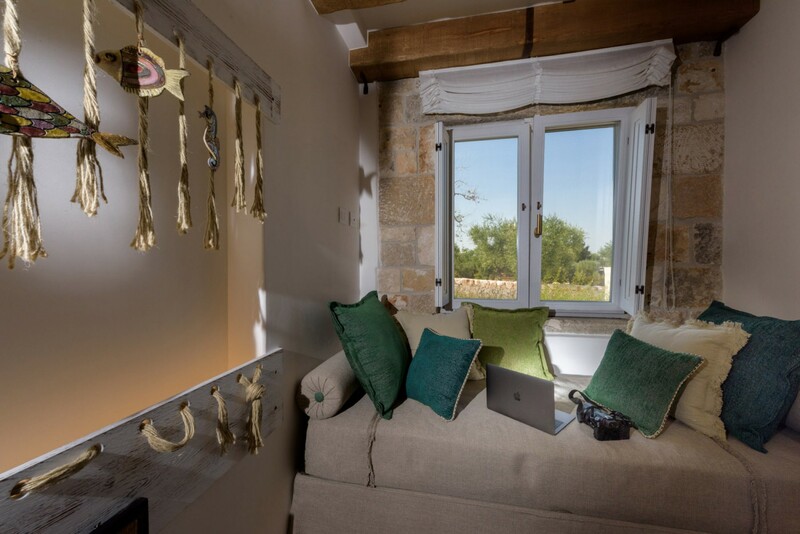 Bunches of flowers hanging from the wooden beams overhead add to the rustic countryside aesthetic, combined with contemporary decor, gentle floral fragrances permeating the rooms. 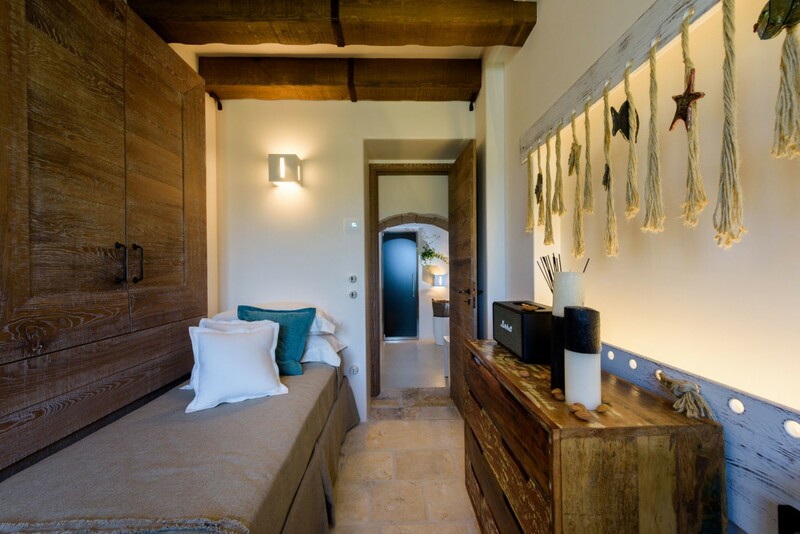 All rooms of the villa are located on the ground floor. 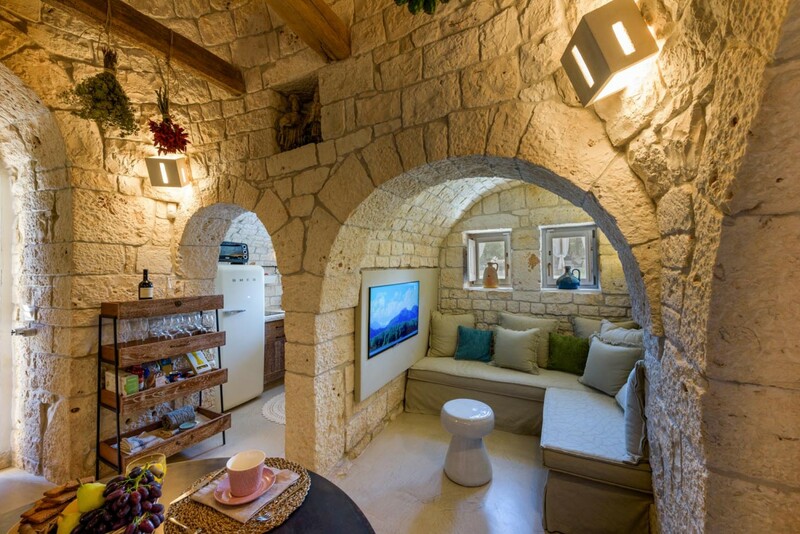 Under the main dome of the villa, where a table and chairs sits rather snugly in the space, stone arches give way to cozy annexes, a sitting area with comfortable couches facing a flat screen TV on the wall in one, the kitchen sitting adjacent in another, while several others give access to other areas of the villa. 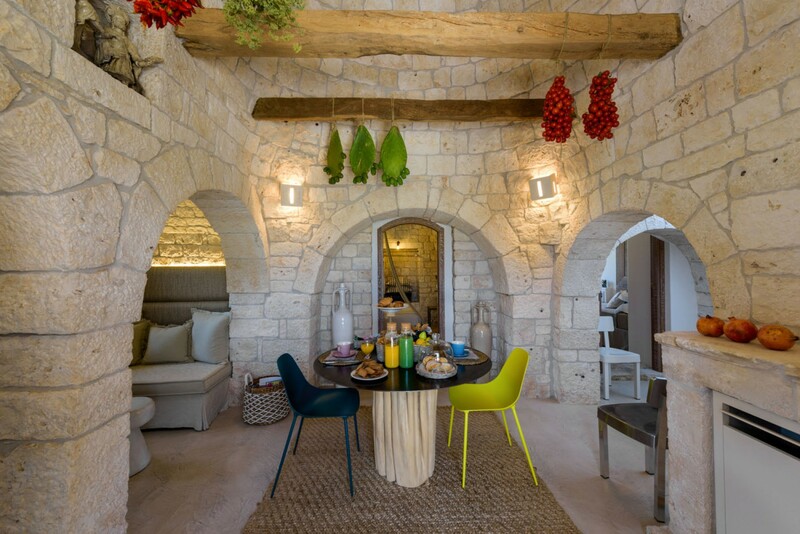 The furnishings are bespoke and designed to accommodate for smaller spaces; cutaways in the curved walls allow for tasteful décor to add a homely feel, simultaneously avoiding clutter. 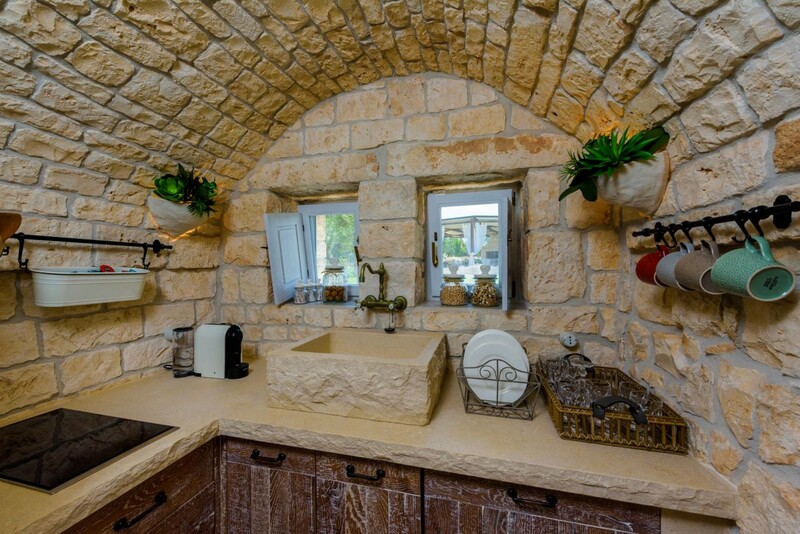 The kitchen is fully equipped, with all the essentials being within arm’s reach. The small space holds a surprising amount, with state-of-the-art appliances neatly fitted amongst the wooden cabinetry. 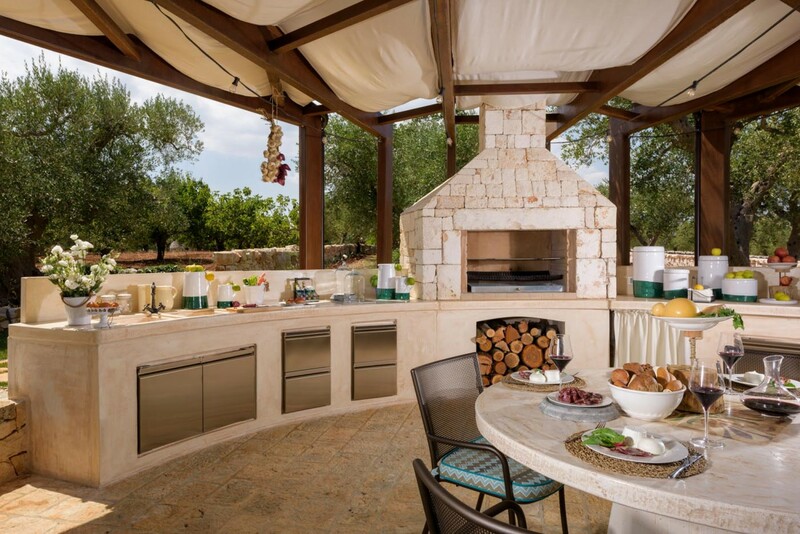 Alternatively, the outdoor kitchen and dining area is at guest’s disposal, an array of appliances installed that are ready to aid in the preparation of richly flavoured meals. 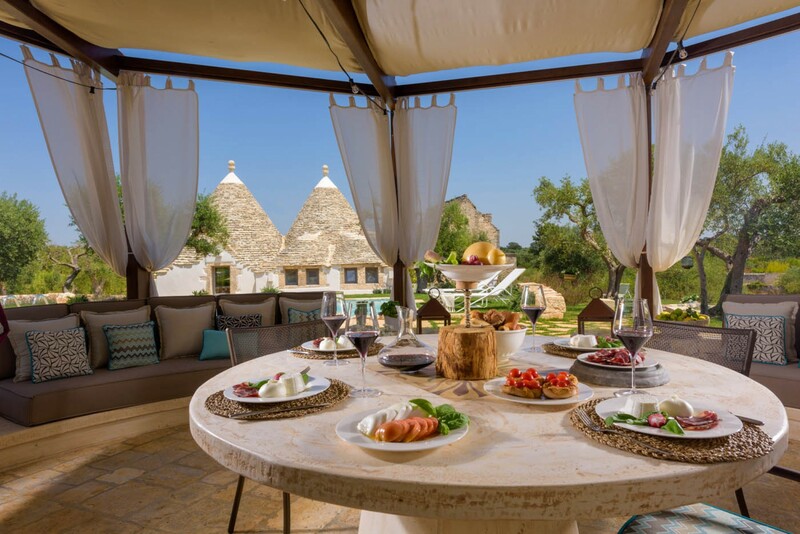 The services of a private chef can elevate the al fresco experience to a new level; with the use of local produce and expert culinary skills, the only difficult part is waiting for the food to reach the grand dining table residing at the centre of the pavilion. 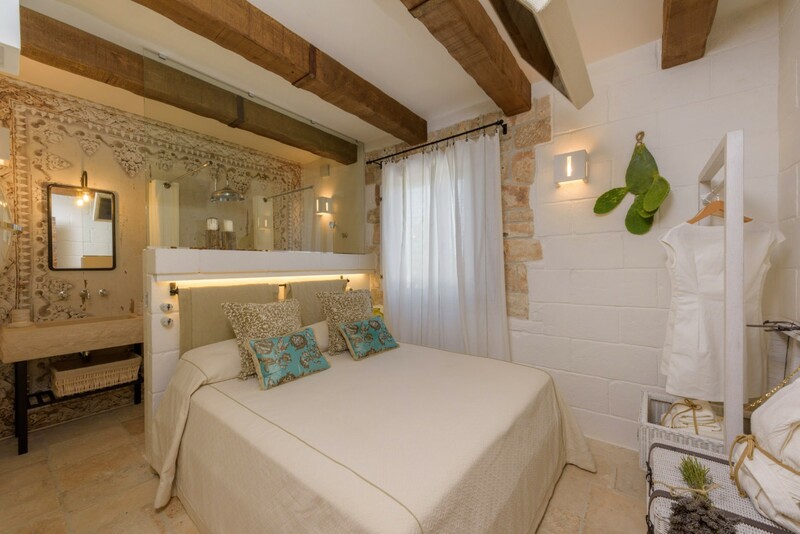 The bedrooms, modest and unassuming, suit all your dreaming needs; each room has been outfitted with luxurious beds, high-quality linens in the bedding to allow guests to drift off to sleep in utter bliss. 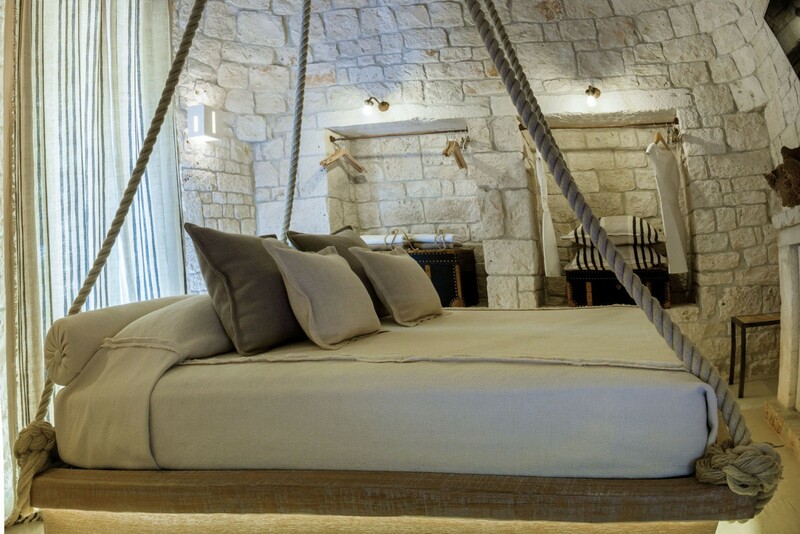 The most prominent feature of the master bedroom is that of the king size bed, strong, thick ropes stretching down from the ceiling to each corner of the bedframe. 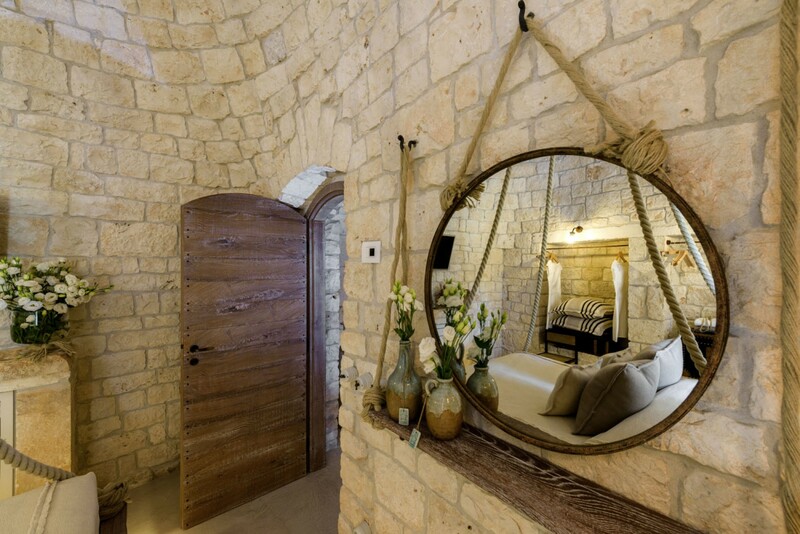 Inset into the walls are spaces for storing belongings, a storage chest and rail overhead for clothes. 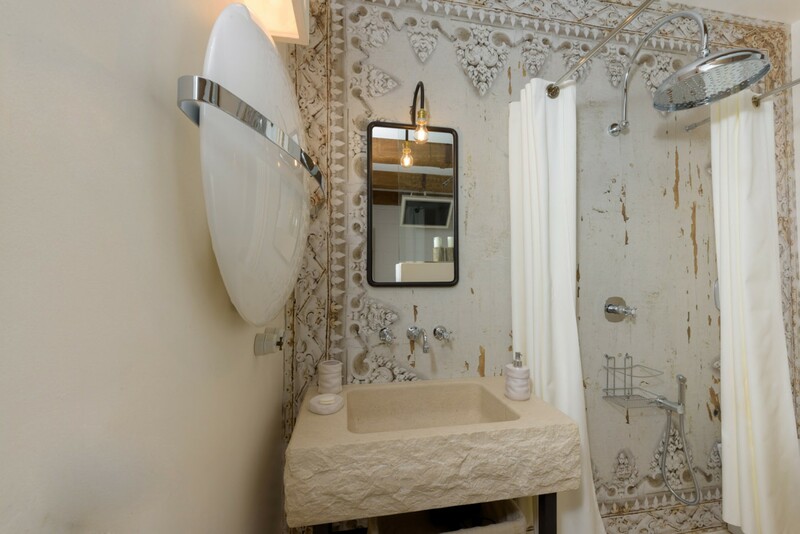 The master bedroom shares a bathroom with the twin bed room, while the remaining room has its own en-suite bathroom with rainfall shower. 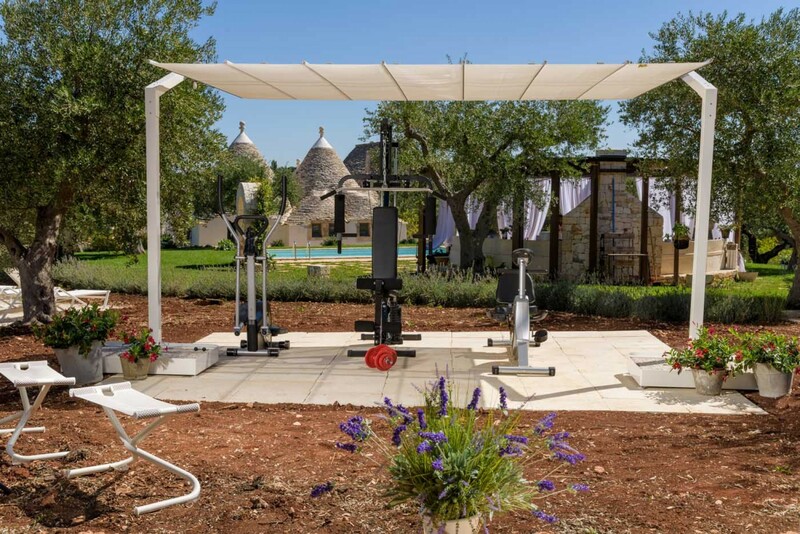 Guests may also make use of the Turkish bath and experience the benefits of hydrotherapy under the emotional shower, with a combination of chromatic and aromatic healing treatments to help guests unwind and recentre themselves. 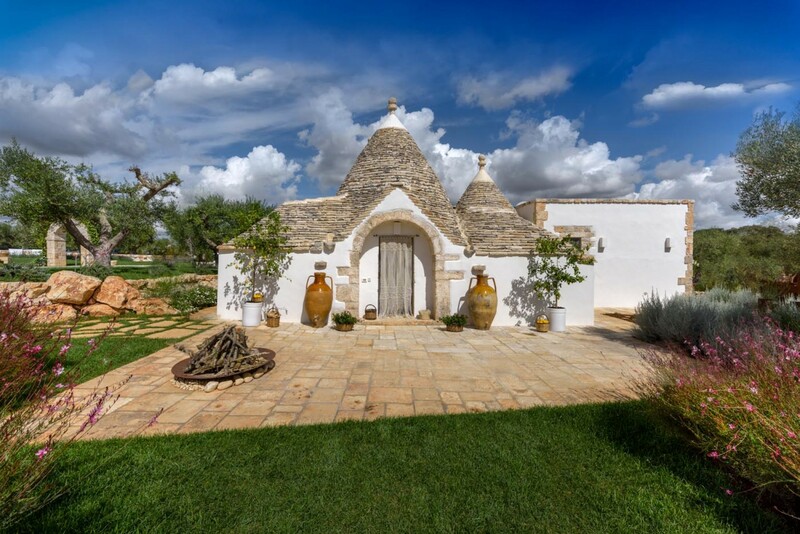 Located in the Puglia Region in the heel of Italy, which claims the prestige of having the longest coastline of any mainland region of Italy, Villa Tria resides near the picturesque town of Alberobello, a UNESCO world heritage site filled with unique and unusual dwellings known as trulli, comprised of limestone walls and a distinctive conical roof; indeed, it is the trulli that will be the most fascinating feature of the town, with a history as storied and unusual as the buildings themselves. 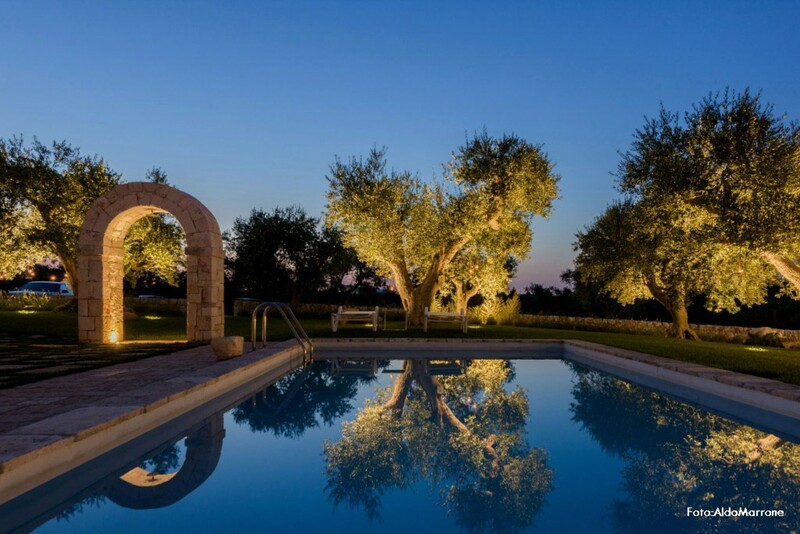 The villa is surrounded by olive groves and maintains a distance from the public to ensure privacy and security for guests. Its proximity to the town allows for easy access to shops and restaurants, as well as a plethora of historic monuments & museums; further afield, the gently sloping landscape of the least mountainous region of Italy is littered with a plethora of historic landmarks and influential architecture. Further down the heel of Italy, Lecce (112km), a historic city that bears the moniker of “Florence of the South” for its baroque styled buildings and architecture. 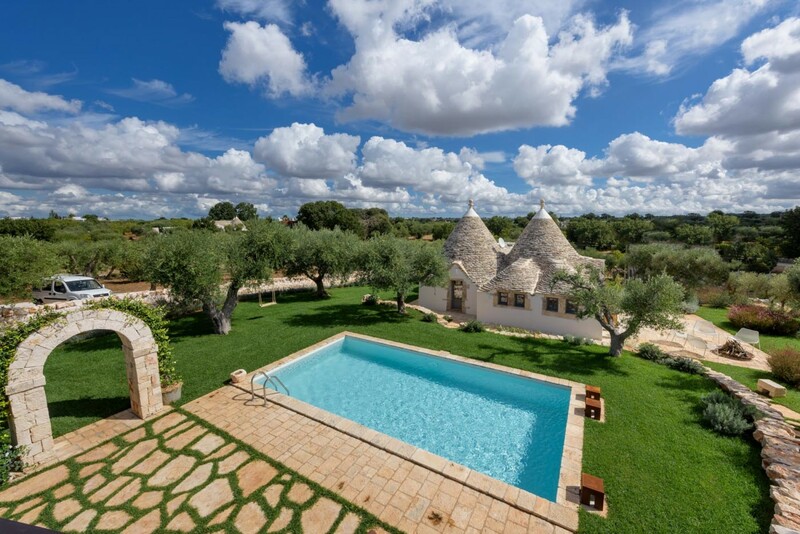 As the crow flies, Villa Tria sits equidistant between Bari (55km), the capital city of the Puglia Region, and Brindisi (78km), the ancient “gateway to the East”, and both are chock full of things to see and do, with many features still visible from eras long since passed.